I mentioned on this week and last week’s menu a little recipe for Maple Mustard Chicken Thighs and you all — IT IS A KEEPER! 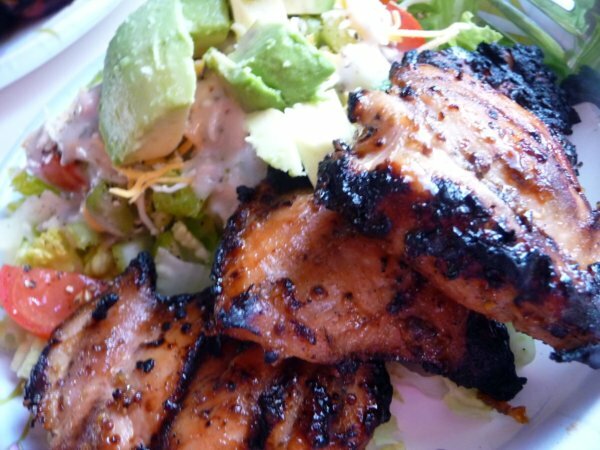 I’m a super fan of marinades that you can easily make on hand with ingredients you normally have lying around. I’m also a fan of marinades that are man pleasing and delicious. This one satisfies all of the above. I used chicken thighs because I am having a love affair with them. Have you enjoyed chicken thighs lately? I always thought they were kind of slimy and gross looking, but then I realized — oh wait, that’s ALL CHICKEN! But chicken thighs have the added benefit of holding up wonderfully on the grill because they are so juicy! The outside gets nice and crispy, while the inside stays completely delicious and doesn’t dry out. They are worth trying in this marinade if you haven’t! That said, it would also go lovely with chicken breasts, so never fear if you aren’t feeling adventurous. Chicken thighs as an adventure? My life is really a Thrill-A-Minute ain’t it? So I took the original recipe and changed a few things to make it slightly more Paleo friendly (substitutes for refined sugar and tweaked the mustards due to what I had on hand) but the truth is this recipe is a bit of a sweet treat. But the other truth is — it is AWESOME! So use that information for good or for evil! I love this recipe is best on the grill, but it would also be enjoyable cooked in a pan or baked. I have done both and it’s quite adaptable. Also, it is November, so you know — choose the cooking method that best works for your weather situation! 1. 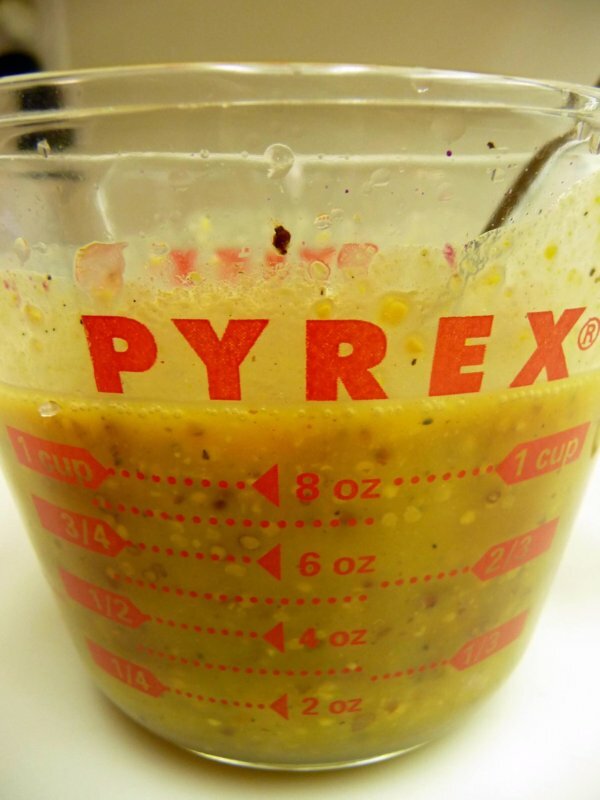 Mix up all those ingredients in a little Pyrex. It won’t look glamorous, but it will be good. 3. Before you grill (AND THIS IS IMPORTANT) season your chicken with salt. I used probably about 1/2-1 tsp. When I grill chicken thighs I generally do it over fairly high heat and do 5 mins with the grill open, 3-5 minutes closed, flip and 5 minutes with the grill open. Depending on the size and thickness of your thighs you may need additional time, but this works pretty flawlessly. 5. EAT THEM WITH EVERYTHING! Vegetables, salads, cold out of the fridge — it’s all delicious baby! That looks absolutely delicious. Thanks for sharing the recipe. I’m so pinning this right now. This looks so good and is making me HUNGRY!!! I am making this tonight with drumsticks! Thanks for the inspiration, lady. You know, after reading the comments on the original recipe the first time you posted it, I broiled them for 8 minutes on each side, and they turned out almost as good as if I had grilled them, ie. CRISPY SKIN. I highly recommend it as a cold-weather grill alternative!